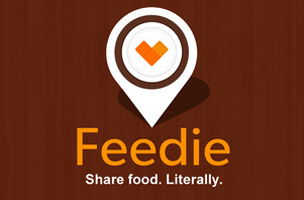 Celebrity chef Mario Batali has teamed up with non-profit The Lunchbox Fund to launch Feedie, a philanthropic app for foodies.Feedie is an app by The Lunchbox Fund that transforms your passion for sharing food photos into actually sharing food for those who need it. Simply sign up via Facebook or Twitter, and visit a participating restaurant. When you use Feedie to take a photo of your meal and post it, the restaurant makes a donation to The Lunchbox Fund—a non-profit organization that provides daily meals to schoolchildren in South Africa. Your post thanks the restaurant and spreads the Feedie message!